Annie (Lou) Rogers, the daughter of Luther Bailey Rogers and Mary Elizabeth Barker, was born in Patten, Maine in 1879. 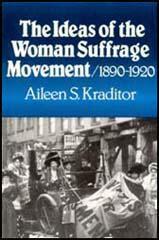 Her father had been a colonel in the Union Army during the Civil War. After studying at Massachusetts Art School and Arts Students League in New York. 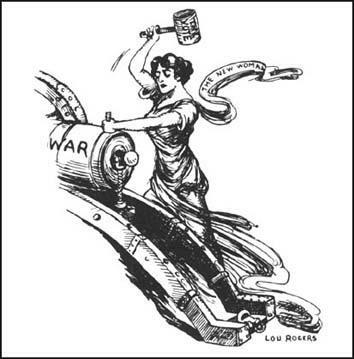 Rogers became one of the countries leading cartoonists with her pictures appearing in The Judge, Ladies' Home Journal, New York Call and the New York Tribune. 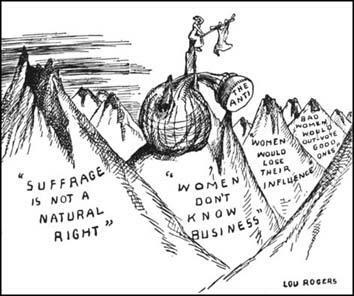 A committed supporter of women's suffrage, she also contributed cartoons to the Suffragist, Woman Citizen, Women Voter and the Woman's Journal. 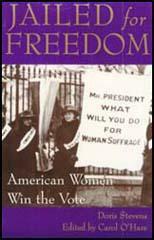 Rogers also took part in suffrage lecture tours and was a well-known soap-box orator in Times Square. Rogers wrote and illustrated two adventure books for children and in the 1930s hosted a weekly NBC radio program, Animal News Club. Lou Rogers died in 1952.